Discussion in 'Routers' started by NeeWii, Jan 23, 2019. Hi, I'm in the market for a new router but could use some assistance in identifying a router/firmware combination that meets my needs. I've been using a NetDuma router for quite a while (the old R1 hardware), but recently I've found it to be buggy and is capping my 300Mbps download speeds at around 160Mpbs, has issues with wifi calling on phones and I can't get my work VPN to connect while using it - so I need a replacement router! 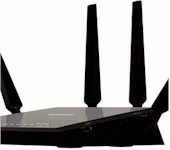 I have a Nighthawk R7000 downstream from it as a wireless AP. 1. Needs to have (ideally easy to set) good QoS / packet prioritisation options. I run a Plex server and have two Xboxes in the house. When Plex is streaming to others outside the house, it eats up all my upload (20Mbps) very quickly and causes congestion - there's huge lag noticeable when gaming on the Xboxes. When I use the NetDuma it eliminates this very effectively while keeping the Plex stream going, so I'm looking for something that can achieve the same. 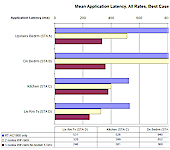 Solid Wifi performance (potentially mesh?) and gigabit ethernet are also needed. I'm open to flashing it with alternative firmware if that's the best option also. 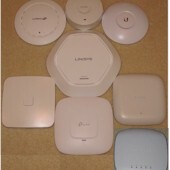 I'd like to steer away from Netgear & Netduma given my experience thus far. 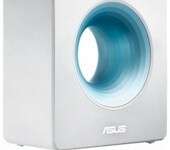 Currently some of the newer ASUS models are grabbing my attention. Assume unlimited budget (although would like to keep it below £300 if possible). Any thoughts & recommendations would be greatly appreciated. 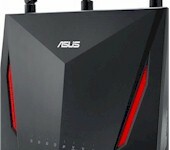 Take a look at the Asus RT AC86U. Should be within your budget.